Enamel perhaps the most important thing on your teeth that you never really think about. Of course you start to think about it when you have problems but until then it seems to be one of those things that is just there nothing to worry about as long as it is there, right? Say all of a sudden however that you are having trouble eating cold foods or foods that are very hot, or even just taking a breath in through your mouth and you get an ache in your teeth. Chances are if that happens your enamel has been weakened and damaged and the nerves of your teeth are getting exposed. While there is nothing you can do to replace that enamel that is being damaged there are things you can do to help keep it strong and help with restoration if the damage is minimal. Using an enamel restoring toothpaste is one good way to help with prevention or restoration but you can take another step beyond that as well. 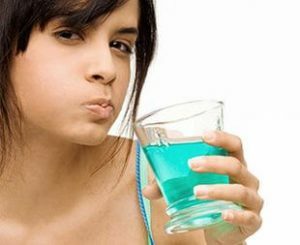 Mouthwash is a great way to add a layer into your dental regime that is going to help with your enamel restoration and strength. There are several brands of mouth washes on the market and all you need to do is pick the one that is going to work best for you. Just a couple of the easiest to get mouthwashes are ones like ACT total care and Listerine total care. These mouthwashes are packed with more fluoride and more minerals then your standard mouthwashes and the extras in them are designed for focus on the enamel. If you feel that you need a mouthwash that is stronger than an over the counter one speak with your dentist about it. There are some that are medical grade and may help with more serious damage issues. It is always a good idea to consult with your dental professional about your teeth if you have worries anyways as they may be able to help in bigger ways.